Click on links to see scheduled events. A Capella Books. http://www.acappellabooks.com 208 Haralason Ave. NE, Atlanta 30307. 404-681-5128. Bi-monthly critiques, meetings. Must be a member. Sundays for Teens Series: NESO Writers Club for Teens– On the fourth Sunday of the month beloved NESO writing tutor Sarah Calhoun leads a monthly workshop on writing and all that goes into it: the structure, motivation, inspiration and love. Teens are encouraged to bring in pieces that they working on for presentation and group discussion. This is an evolving group and teens are welcome to present their own ideas for what they would like to get out of it. In the Teen Center. Ages 12-18. Registration required. Free. Contact: kay.clark@fultoncountyga.gov or 770-360-8820. The Atlanta Radio Theatre Company (ARTC / www.artc.org), founded in 1984, is seeking writers to create radio plays to be performed live at events such as Dragon*Con, recorded for broadcast, and also sold in digital formats. ARTC specializes in genre stories–including science fiction, fantasy, paranormal, and horror, as well as some mystery and romance–that are dialog-driven and do not rely on extensive narration. If you are interested in writing for ARTC, they recommend starting with a 5-10-minute radio play that you can workshop with them, doing a reading and receiving critiques, before advancing to longer scripts. Foley technicians who do the sound effects for productions also are needed. ARTC meets most Wednesday evenings at 7:30 in Stone Mountain. To schedule a date to workshop your radio play, or to sit in on a rehearsal of a current production, please contact info@artc.org. Fiction Online Critique Group: Open to AWC members, all genres of fiction. In order to join, send a request to Lianne Simon at liannesimon@yahoo.com stating that you are an AWC member, and she will send an invitation. Buckhead, 2900 Peachtree Rd. NE, Ste. 310, Atlanta 30305, 404-261-7747, http://store-locator.barnesandnoble.com Edgewood, Edgewood Retail District, 1217 Caroline Street at Moreland Ave, Atlanta 30307, 404-522-0212Edgewood Writers Group: Join other writers for a discussion about writing and publishing. Share ideas and help each other overcome the problems faced when trying to create a literary masterpiece! Call store for information. The Forum on Peachtree Parkway, 5141 Peachtree Parkway, Norcross 30092, 770-209-4244. Every Tuesday at 7 p.m.—The Forum Writers’ Workshop: Join host Harmon Snipes to discuss the writing and publishing process. Everyone welcome. Email the forumwriters@gmail.com with questions. Mansell Crossing, 7660 Northpoint Parkway Ste 200, Alpharetta 30022, 770-993-8340. The North Point Barnes & Noble Writers Critique Group Writing Group: every second Thursday. African-American Writers’ Workshop: meets the last Tuesday of every month at 7:00 pm. Wordsmith Writers of Clayton County: Join author M.J.Kane as she facilitates discussions with aspiring or published fiction writers. Receive advice on becoming published or how to put your ideas on paper. The Bowers House Writers Guild offers encouragement to local and visiting writers whose writing covers a range of genres: local and personal history, personal memoir, adult and juvenile poetry, book reviews, journalism, newspaper and magazine articles, short stories, essays, how-to books, fiction and non-fiction. The Guild provides members the opportunity to meet writers with similar interests, to meet together, to become good friends or to enjoy the company of friendly acquaintances. 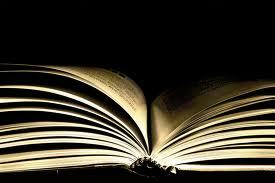 Numerous classes in creative writing, fiction and nonfiction, Fall and Winter quarters. See link for catalog. Making Space: A Community Writing Group for Activists, Healers, and Every Day Heroes: A writing group for those of us who work, move or spend time serving others through human service and community professions (psychologists, educators, social workers, etc). Here, we will use writing as a means for deepening our understandings of our private and public journeys, our relationships, work and how we make space for ourselves (or don’t) in the midst of it all. This is Charis Circle From Margin to Center Literary Program. The suggested donation is $10. David Fulmer Pitch Workshop –The Reading Room of Eagle Eye Books, 2076 N. Decatur Rd., Decatur, 404-486-0307, www.davidfulmer.com/PitchPage.html. The Down Home Writing School (DHWS) offers seminars for writers working in any genre and at any level. But the DHWS delivers something different: Lauretta’s Down Home Approach. Think about it. When you go down home, you’re surrounded by the people who will tell you the truth, help you along, and send you off with what you need. That is what Lauretta (Hannon) will do for you. Go straight to the heart of the matter as we explore the most critical lessons and solutions for your writing project. Expect to be energized and inspired by this lively, thought-provoking experience. This seminar is suitable for writers working in any genre and at any level. Attendees of this three-hour seminar will receive a workbook, resource packet, and list of recommended readings. Once the seminar has concluded, we’ll head next door to Hemingway’s for a libation and continued discussion. Georgia Writers Association, Workshops, conferences. Each month, the Georgia Writers Association hosts 2-hour writers workshops that focus on some aspect of the writing life: craft, finding an agent, publishing, marketing, etc. Past speakers include Raymond Atkins, Karen White, River Jordan, Jeffrey Stepakoff, and many more! See web site. The Georgia Writers Museum focuses on promoting the rich, literary heritage of the state. Of the 46 authors in the Georgia Writers Hall of Fame, nine are from within 30 miles of Putnam County. Permanent exhibits honor the three most famous local authors, Alice Walker, Flannery O’Connor and Joel Chandler Harris. Works and artifacts of the other authors will be featured in the museum on a rotation basis. Our mission is to promote tourism and literary heritage by providing a venue to showcase the lives, accomplishments and works of local authors. For more information contact Wayne Boston, Community Builder for the City of Milton at 678-242-2500 or Rona Simmons at rona_simmons@bellsouth.net. Regular meetings are held at 1:00 pm on the first Wednesday of each month at the Peach State Bank, 325 Washington Street, Gainesville, GA, 3rd Floor. Meetings, workshops, critique groups in Savannah. We meet every 2nd and 4th Tuesday. SCBWI isn’t just for people who create children’s literature. It’s for anyone who loves children’s literature. Come to one of our events, and you’ll learn what’s happening in the industry as you connect with editors, agents, writers, and illustrators, on a local and national level, all working toward the same goal: getting the best new literature published and into readers’ hands. Our Annual Conferences: Both Springmingle, (held in February or March in Decatur, Georgia), and WIK, (held in October in Birmingham, Alabama), offer attendees the opportunity to display portfolios, sell and autograph their Published and Listed books, network with industry professionals, and receive private manuscript and portfolio critiques. Additionally, both provide time for attendees to meet in informal critique groups to receive feedback and suggestions for revision on a manuscript, or illustration portfolio – many unique opportunities to give your career a boost! SWA is a non-profit organization dedicated to promoting writers across the southeast through access to education and training, peer support, and resources. Founded in 1975, our membership is comprised of a diverse group of writers from more than twelve Southern and Mid-Atlantic states who represent a variety of genres, styles, and levels of experience, but who are bound by a common passion for the written word. Verbaleyze is a 501 (c) 3 nonprofit that serves to foster, promote and support the growth and professional development of emerging writers ages 13 to 22. For more information, email us at info@verbaleyze.org . Vouched Books exists to promote small press literature, including by staging its own readings (Vouched Presents), to demonstrate that literature “didn’t stop in the 70s or 80s, or even the 20s or 30s.” See website for more information. Writing group: Join author M.J.Kane as she facilitates discussions with aspiring or published fiction writers. Receive advice on becoming published or how to put your ideas on paper. Look forward to seeing you there! This site seems to be a sort of online bulletin board for writers looking for other writers. 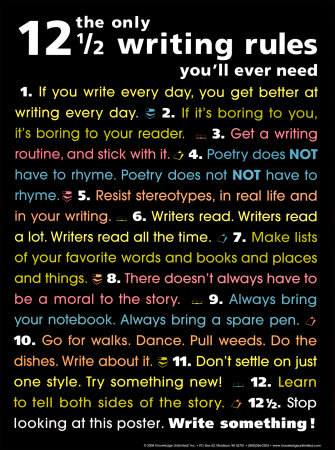 Also notices for songwriters, screenwriters, etc. Example: Creative Souls Focus Group. Greetings: looking for an ongoing, guided writers workshop in or near Marietta, GA, where writers share their work and the work is critiqued week by week.